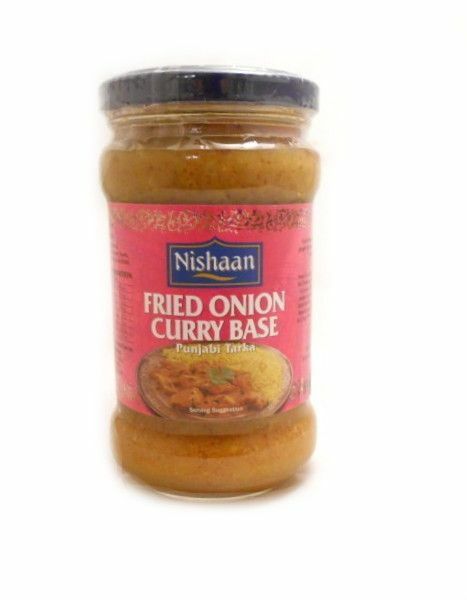 Curry base is the foundation for all curries. It is a blend of fried onions with a hint of garlic, ginger and tomatoes. 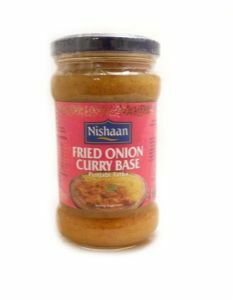 Enjoy creating curries to suit your own individual tastes using this Nishaan curry base and the freshly minced ingredients also available in this great Nishaan range. heat 120g of curry baseand add 450g cubed boneless chicken and stirfry for 2 mins. stir in 60g tomato puree, 40g of tikka masala spice mix and 120ml of water and simmer for 3 mins. 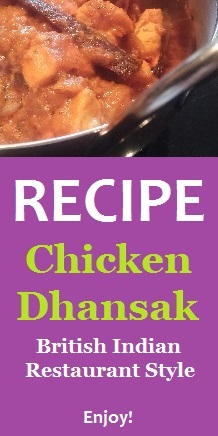 for creaminess add 80g of single cream or yoghurt and simmer for 2 mins or until chicken is cooked. serve on a bed of basmati rice or with naan bread. Ingredients: onion, tomato, sunflower oil, sugar, salt, ginger, garlic, starch, acidity regulator citric acid [e330].